Quick Settings is an app developed by Mappz development that gives users of Android versions 2.3 and newer the same toggles as those found in Jelly Bean. 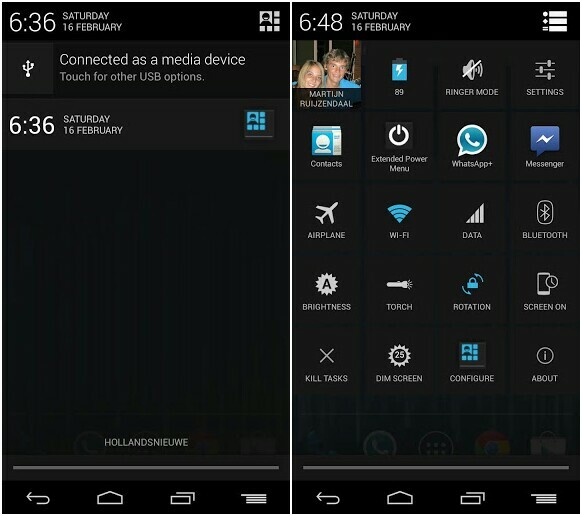 Once started, the app displays a notification in the notification area emulating the time, day, and date of the notification area found on Jelly Bean. 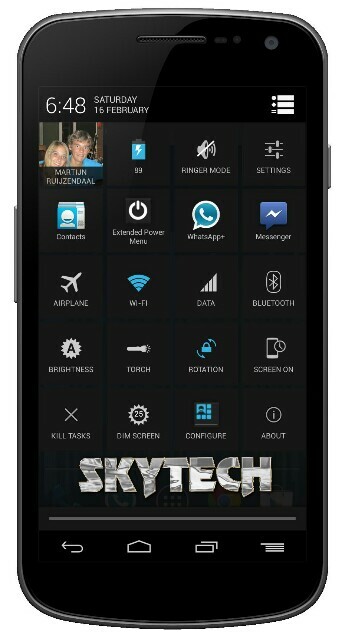 Upon selection, the neat rows of toggles appear with the same aesthetic design and appearance of Jelly Bean toggles. A selection of customization options are offered, among them being the ability to enable or disable certain toggles, rearrange the order of toggles, and choosing how many toggles per row. There is Pro version to unlock all the features.